Dr Woei-Yuh Saw completed her PhD at the National University of Singapore (NUS) in Jan 2019. As part of her PhD, she focused on mapping the degree of natural variation amongst Asian populations, using different biological molecular states which include genomics (for instance, whole genome SNPs data, pharmacogenomics variants, and HLA typing alleles), transcriptomics, and lipidomics. 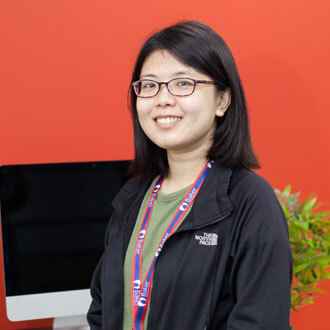 During her PhD, she also worked at the NUS StatGen (Statistical Genetics) Laboratory. She is now a Research Officer in the System Genomics laboratory at Baker Heart and Diabetes Institute. Her main research interest is looking at multi-omics integration together with clinical, diet and environmental data, which she hopes to be able to derive biological insights from the multi-omics and infer links with diseases. Now, she will be involved in analysing the RNA sequencing data from a longitudinal cohort study, thereafter explore the possibility of integration of different omics data.